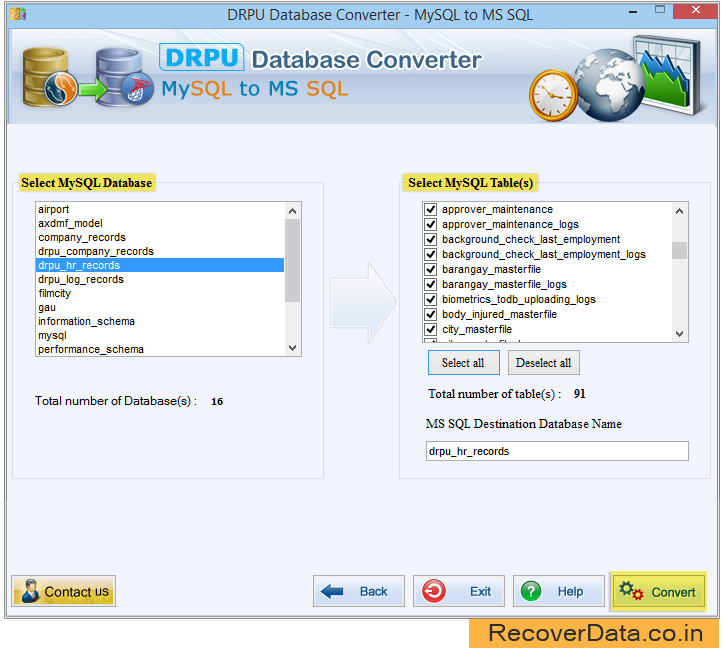 MySQL to MSQQL database converter software easily and safely converts MySQL database records to MSSQL database server. Software supports all major MS SQL data types and attributes. Software has Classic Mode option to convert 4.1 or earlier version of MySQL. 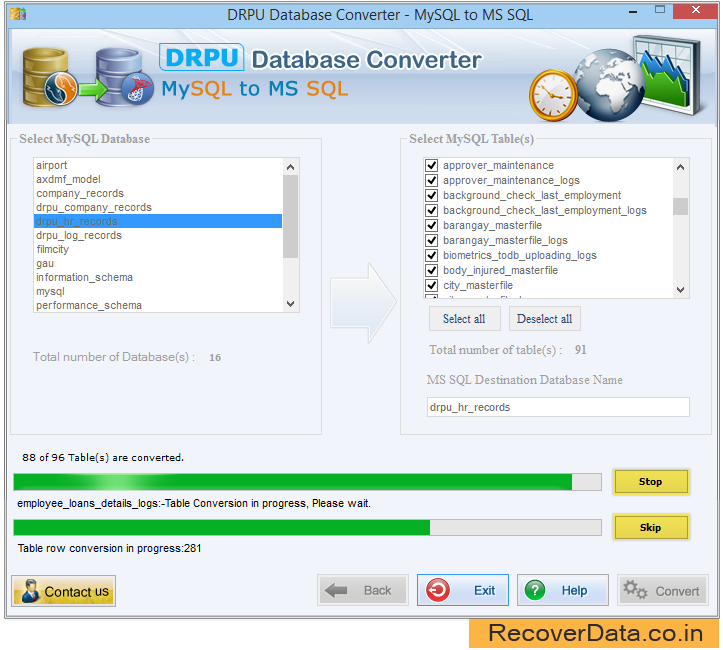 Database files recovery software converts user’s selected database tables or complete database table records from MySQL format to MSSQL format. Support all versions of MySQL server on MS windows operating system. Support default value, null value, entities, attributes and key constraints like primary key, unique key etc. Software converts indexes, views and primary keys with all necessary attributes. Facility to convert 4.1 or earlier versions of MySQL. Connect MySQL and MS SQL server locally or remotely. 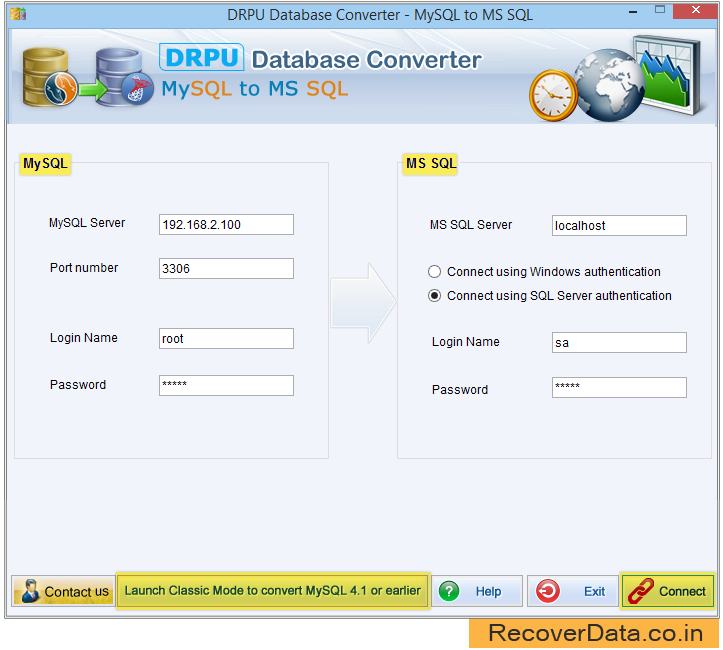 Works with all latest versions of MySQL server and MS SQL server. Software is user friendly and maintains database integrity. Synchronizer tool is simple, fast and easy to use. First enter the required fields to establish connection with MySQL Server and MS SQL Server using Windows authentication and SQL server authentication. If you want to convert 4.1 or earlier version of MySQL, click on Classic Mode option to proceed. Above screen contains three options including Convert table(s) definitions only, Skip converting indexes and Converting views. Choose any option according to your requirement. 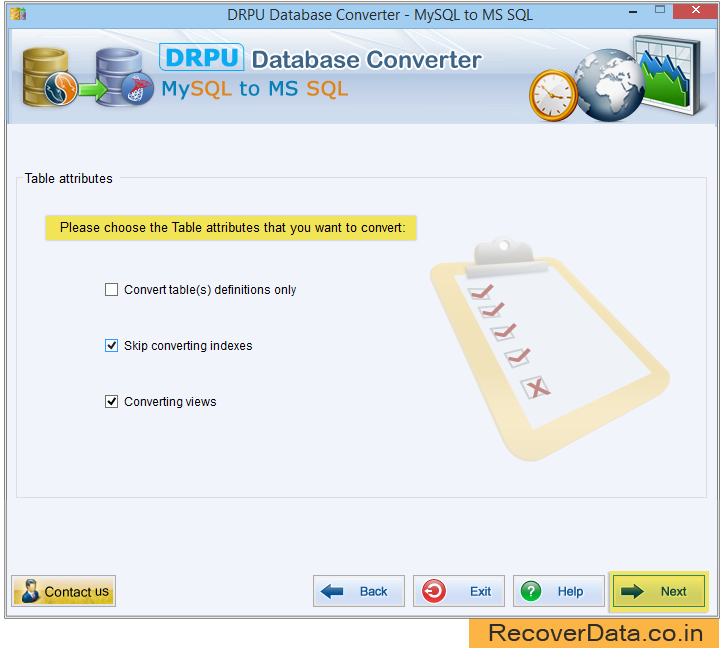 Select MySQL database with its table(s) that you want to convert into MS SQL database. 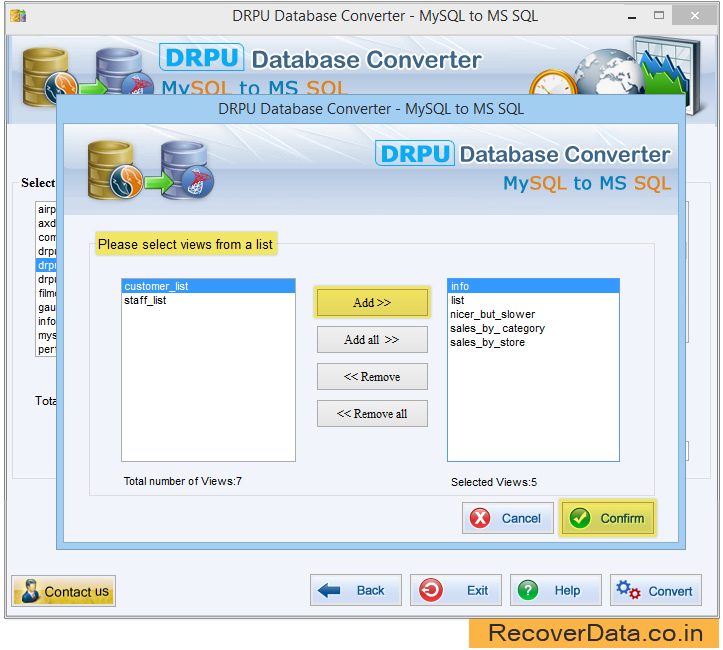 From above screen, choose views from left panel and add it on right panel to convert into MS SQL database. Database conversion in progress, wait until finish the process. 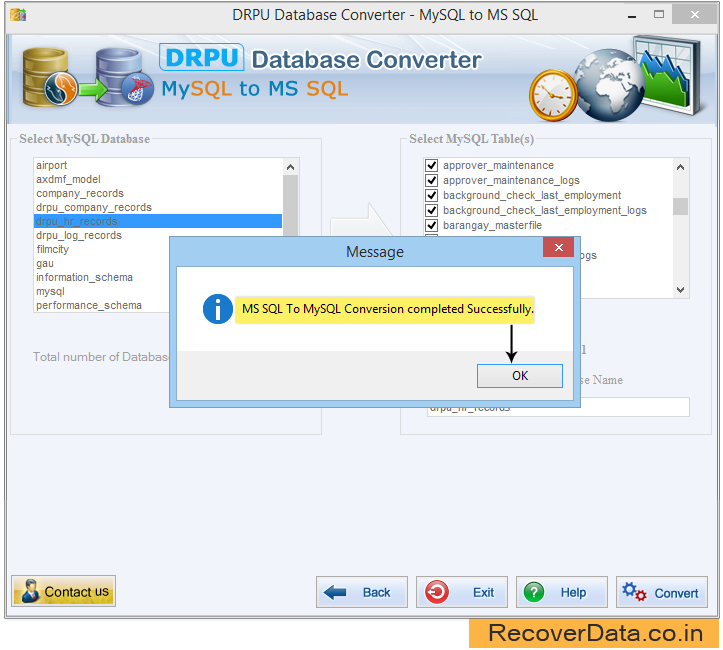 Above message window shows MySQL to MS SQL Conversion completed successfully.